Before you start emailing invoices you might like to read this article on how emails are sent from AbtracOnLine and how to ensure your mail is sent successfully. In summary, in order to ensure successful email delivery the default setting for sending emails is using the @azure.com from address belonging to your Abtrac database. If you choose to remove the “Use AbtracOnLine email account” tick and send from a customised from address you are likely to have problems with email delivery. From here you can set a Bcc email address for invoice copies. It’s also possible to choose a unique Bcc address from Home > My Settings but only one Bcc email will be sent. The order of preference is first the address from My Settings, and then the address from System Settings. Whilst you cannot customise the email “From” address, you can specify the name that emails are sent from. You can amend this from System Settings > Email Configuration. It’s useful when emails are sent from an accounts or management team as opposed to an individual. From Administration > Invoice Settings > choose Email Preferences to set a default email subject and message text. *There is an option to edit the default email subject, recipient and text settings before sending. In this instance, the character limit for the email text is increased to 5,000 characters. From Invoice Management > Preview > choose Email Invoice to view the Edit/Send Email screen. 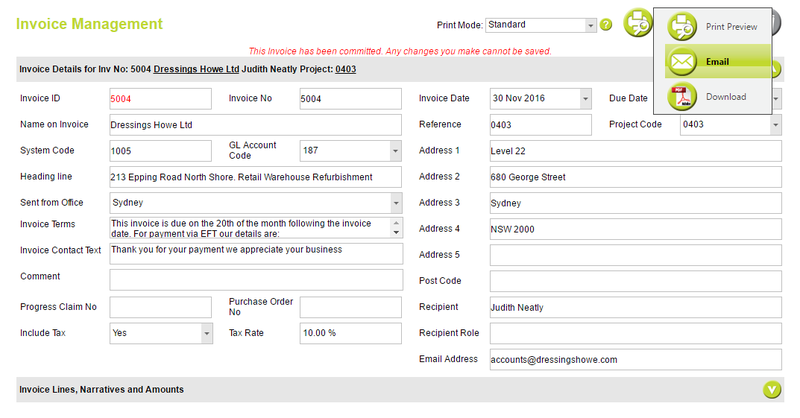 You can also access this screen from Load Invoice when a single invoice is selected by choosing Email Invoice button. The invoice email recipient is initially determined from the client or project invoice address details. You can edit the invoice email address(es) before sending. From any email recipient field to add multiple email addresses separate each with a “;”. The email subject and content will be copied from your default invoice settings but can also be edited before sending. There is no character limit to the email content text when emails are sent from this screen. 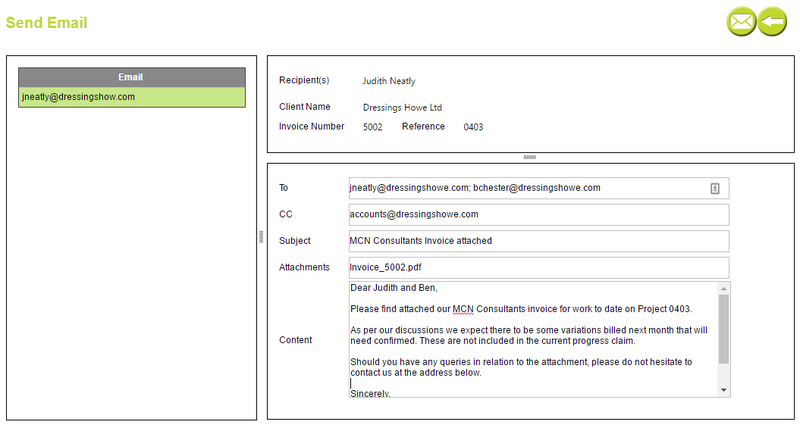 From the Load Invoice screen you can send multiple invoices by selecting the required records and choosing Send Email. You’ll be prompted to confirm that you are happy to send emails directly using the system defaults. Although you’ll receive confirmation from AbtracOnLine immediately after an invoice is emailed as to whether it has sent or not it takes a while longer to confirm whether the message has been delivered successfully, received and read. If there’s a problem with any email sent you’ll receive a red notification next to your login information within AbtracOnLine. This is at the top right of every page in Abtrac Online. These notifications are only visible for the AbtracOnLine user login that the email was sent from. Clicking on the link in the pop up will take you to the Email Management screen. To removed a problem email from notifications you’ll need to acknowledge the message by clicking the green tick button. You can choose to view all email activity, or only show undelivered emails not yet acknowledged. Administrators can also view the status of all emails at any time regardless of notifications. The same screen is also accessible from Home > Email Management. Each message you send from within AbtracOnLine will create a processed event. There are a number of reasons your email will not even be sent to a recipient for delivery. This event informs your system when an email has been dropped. When an email cannot immediately be delivered, but it hasn’t been completely rejected, the delivery is deferred. Sometimes called a soft bounce, AbtracOnLine will continue to try for 72 hours to deliver a deferred message. If a server cannot or will not deliver a message, AbtracOnLine fires a bounce event. 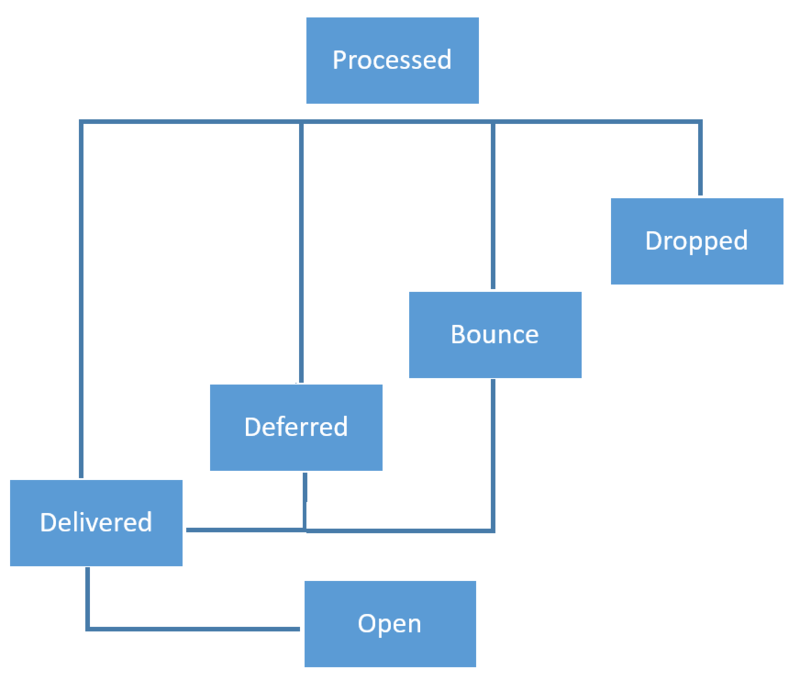 Bounces often are caused by outdated or incorrectly entered email addresses. Many times you won’t know a bounced email address until it bounces. When an email has been accepted at the receiving server, the delivered event fires. This event does not guarantee that the email was placed in the recipient’s inbox. Like all email service providers, the AbtracOnLine email application uses a transparent image beacon to track opened messages. This event fires every time the email is viewed with images turned on. This beacon is currently the only way a sender can tell if an email has been opened. This entry was posted in Administration Settings, Invoicing and tagged email address, invoice address, Invoicing, send emails by Jen. Bookmark the permalink.